1. 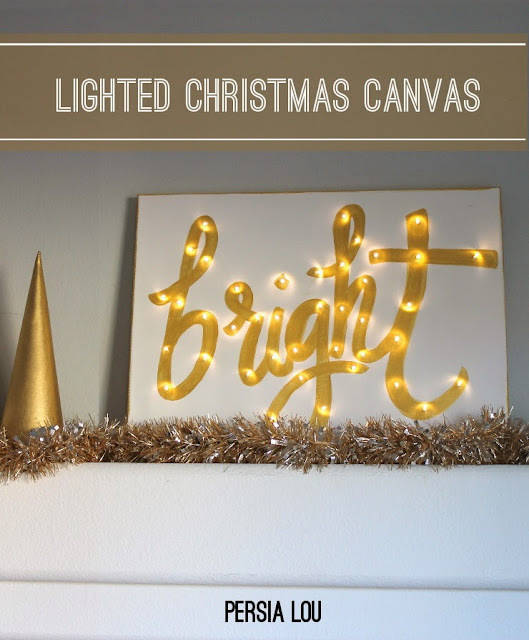 Alexis from Persia Lou shared this beautiful Lighted Christmas Canvas. She gives great step by step instructions so you can make one too! 2. 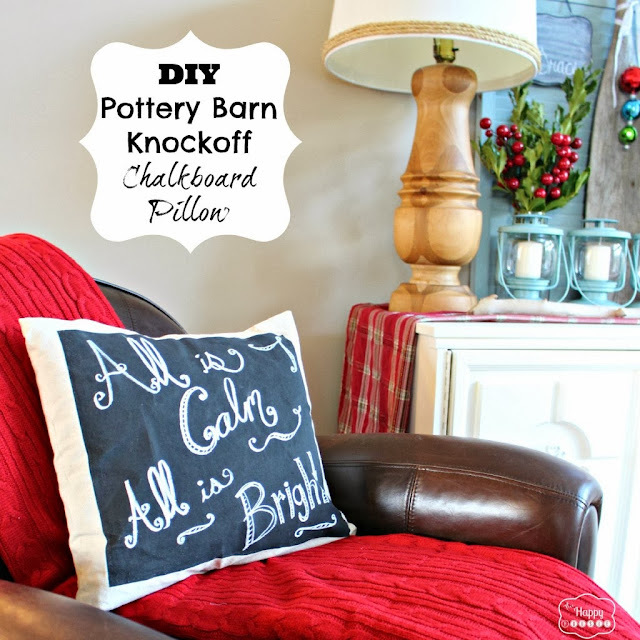 Krista from The Happy Housie shared this wonderful Chalkboard Pillow, just like one seen at Pottery Barn. She was able to make this for $3. 3. 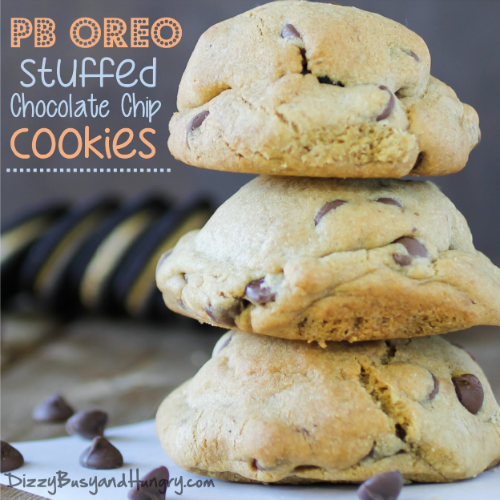 Kristin from Dizzy Busy and Hungry shared these fabulously yummy PB Oreo Stuffed Chocolate Chip cookies. Definitely a must try recipe for our house. 4. 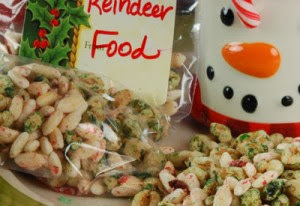 Jodie from Juggling Food, Family & Chaos shared this fun way to spend time with your kids in the kitchen making Reindeer Food. I love to have the kids in the kitchen at our house too. 5. 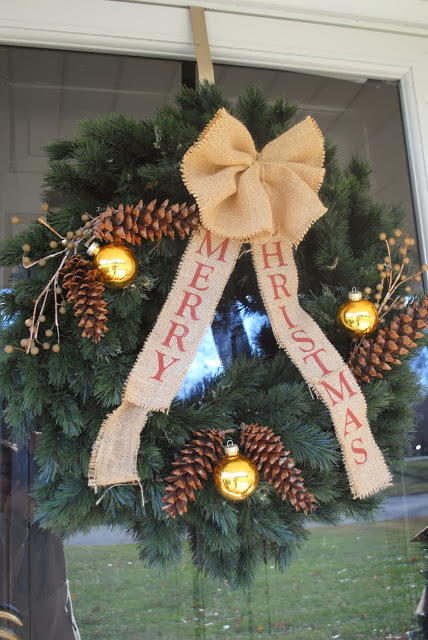 Melissa & Stephanie from Two It Yourself shared this beautiful Christmas Wreath with a lovely burlap bow. See how she did it and get step by step instructions too. Two link ups below....one for Google+. Please follow the HOSTS to participate on both! The second will be a Twitter Link Up....(anyone can participate)...Please follow the HOSTS & find at least 3 others to be social with too. Let them know you found them via #WowzaWeekend. Thanks for hosting Mindi! Have a great week! 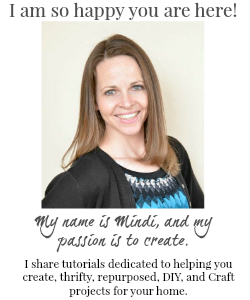 Hey Mindi!!! I will be jumping in today!!! I hope you are well friend and that you are having a great December with your crew! Thanks for hosting lady!!! I'm finally making it over to the party. 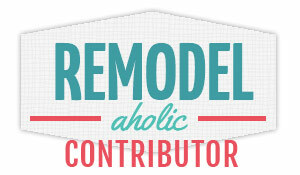 Thank you so much for the invite and I'm looking forward to browsing your blog.